On trend, design comes to you in this easy and graceful cold shoulder shift dress. 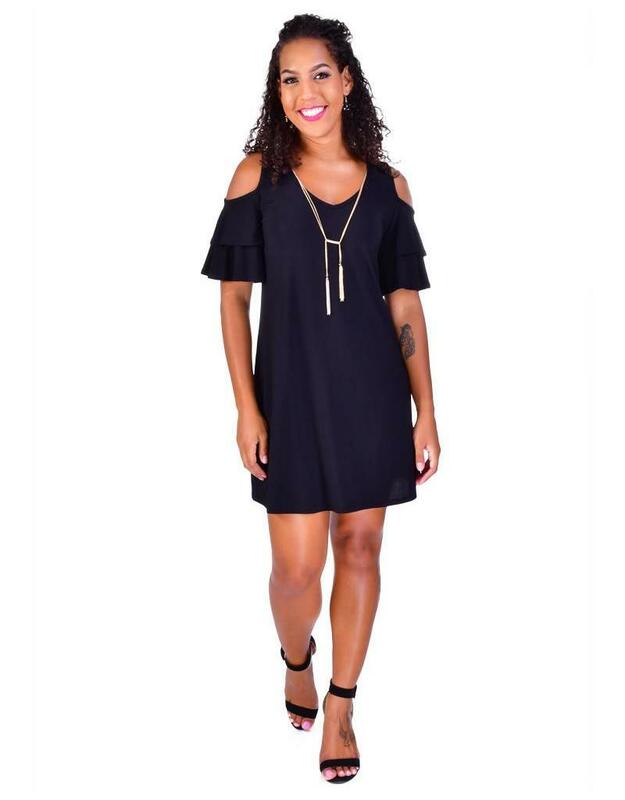 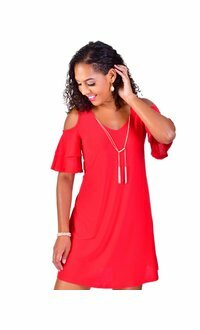 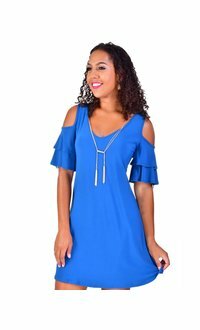 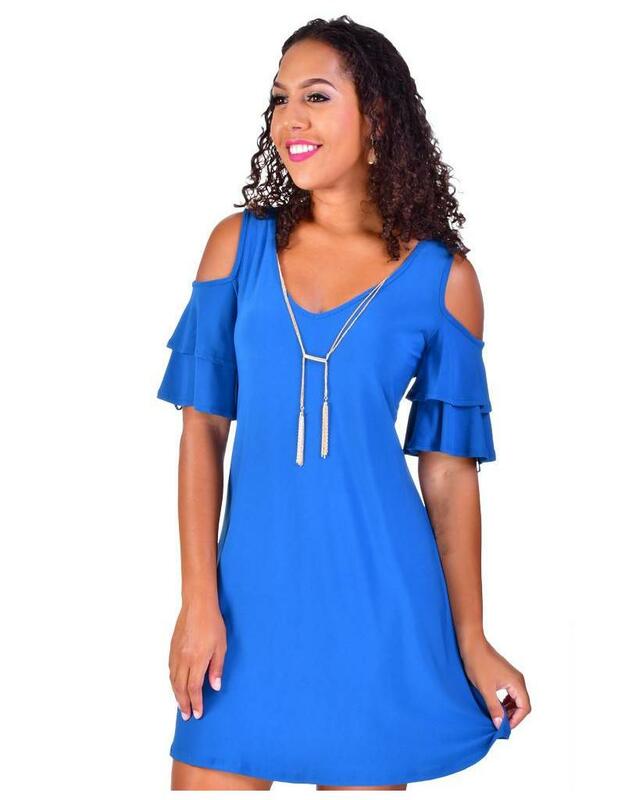 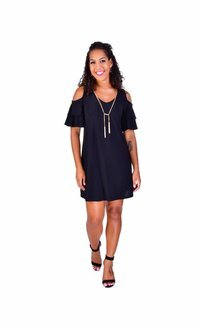 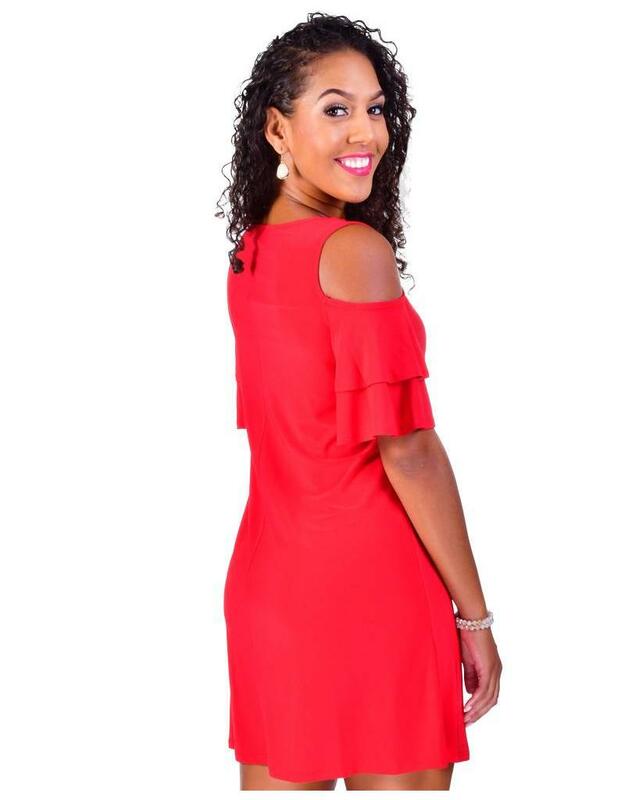 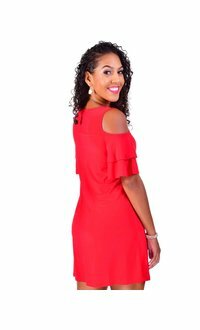 The dress features cold shoulder cutouts, short sleeves with ruffle accents, v-neckline with a complimentary gold chain, shift silhouette that ends just above the knee. 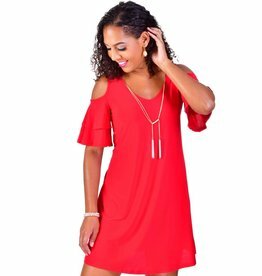 Pair this dress with accessories from our collection to meet your every event needs.